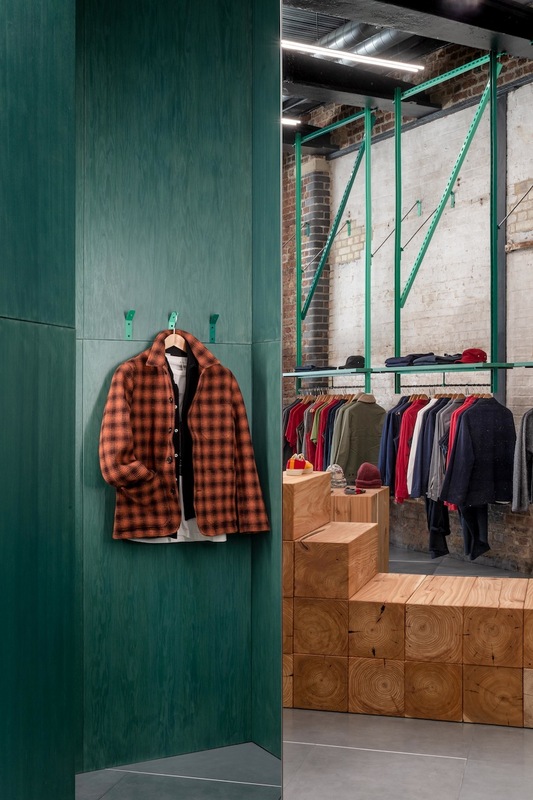 studio mutt has designed a new store and visual identity for british menswear brand ‘universal works’ at coal drops yard, london. 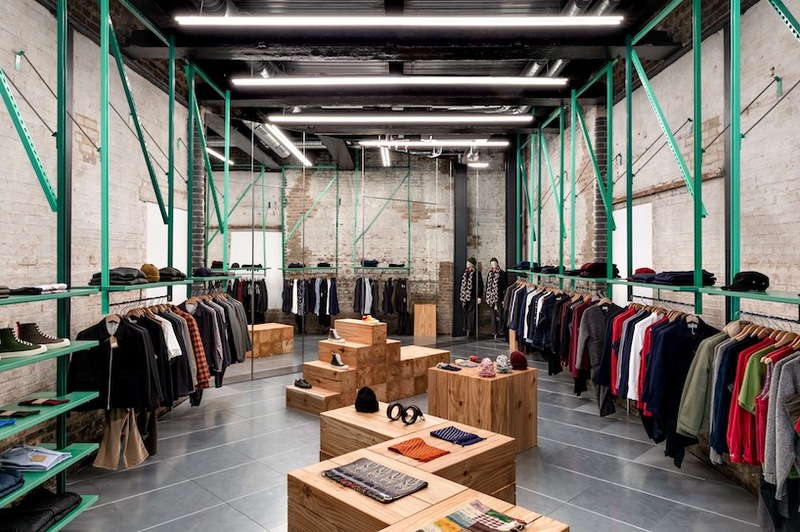 the architects were appointed in late 2017 as architect and creative partner for their future stores. 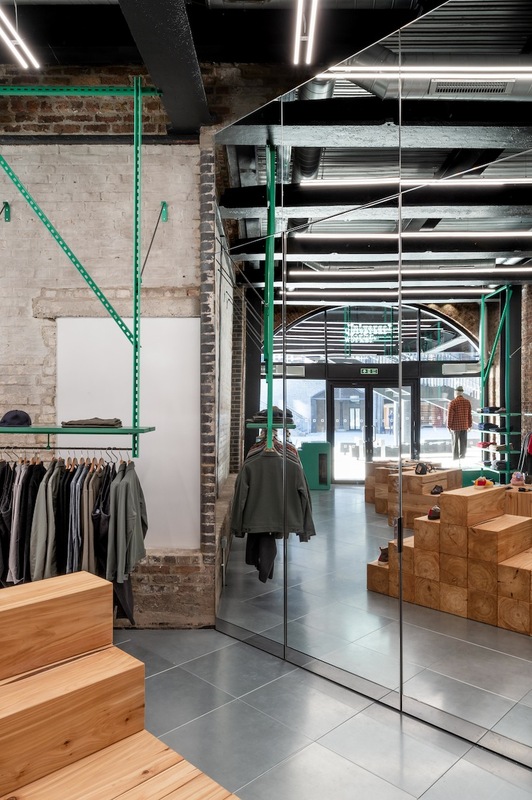 the brief was to determine how an approach to clothing can translate to an approach to architecture, and in response they have developed a functional and vibrant style that responds to the layout of the existing building and could be tailored to subsequent sites. 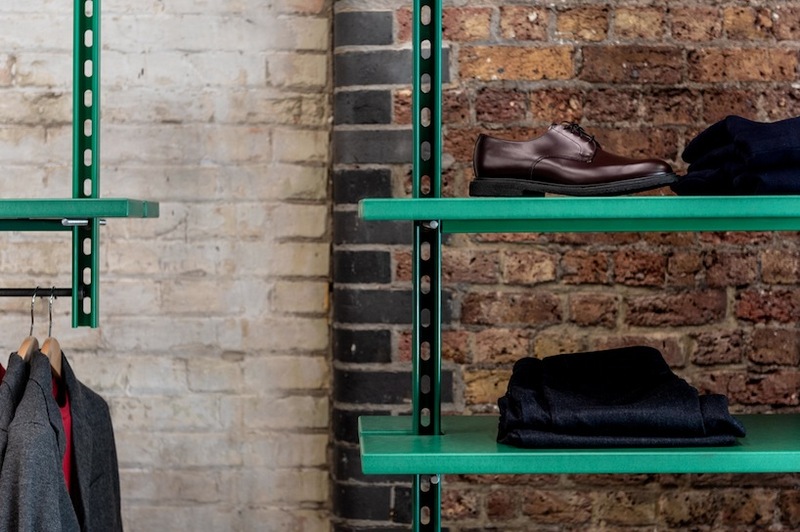 coal drops yard is the second in the collaboration following the soho store at 26 berwick street. coal drops yard is a new landmark development and conversion of two 19th century railway buildings by argent and heatherwick studio’s in kings cross. 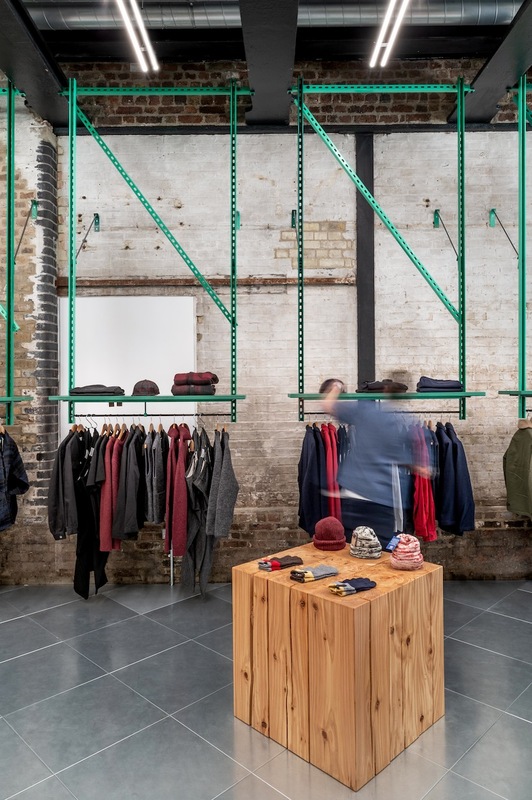 studio mutt’s design retains and enhances the industrial character of the archway space by exposing as much of the existing building as possible and inserting individual joinery items where needed. a bold and honest material approach was chosen to complement the original interior. 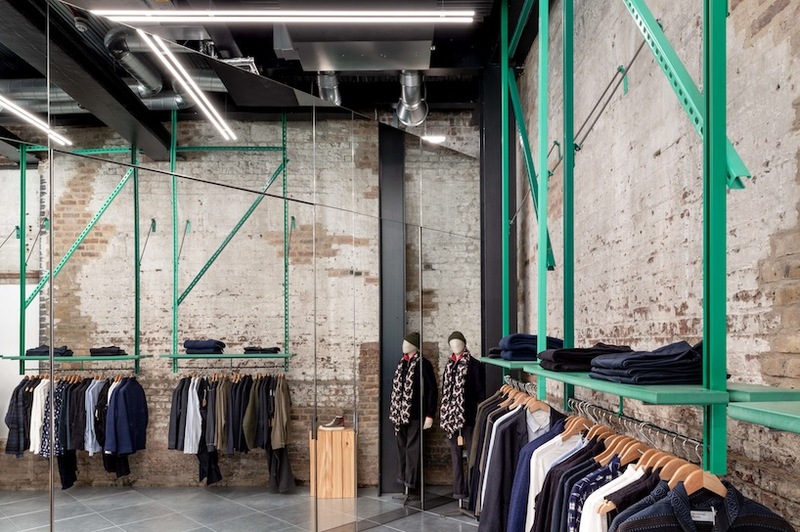 lighting from bespoke linear fittings, designed in collaboration with inessa demidova, lighting designer, is uniform and bright and offers an alternative to the warm spotlights often used in retail. 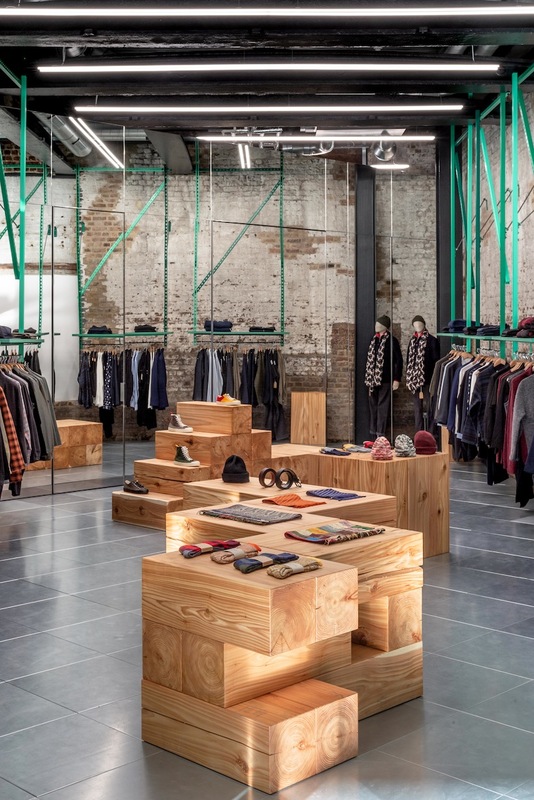 the fittings sit between victorian cast iron beams and exaggerate the grid of the building. 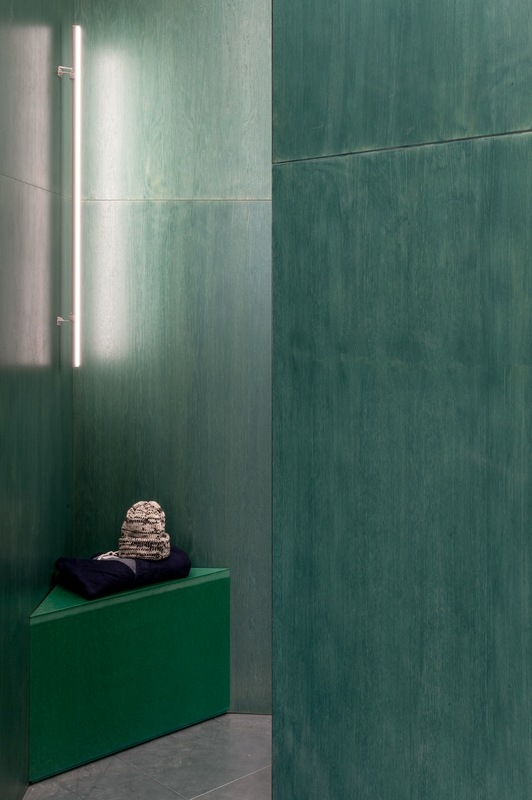 the range of vibrant greens used are reminiscent of equipment in the mills and factories so influential to the collections of universal works. 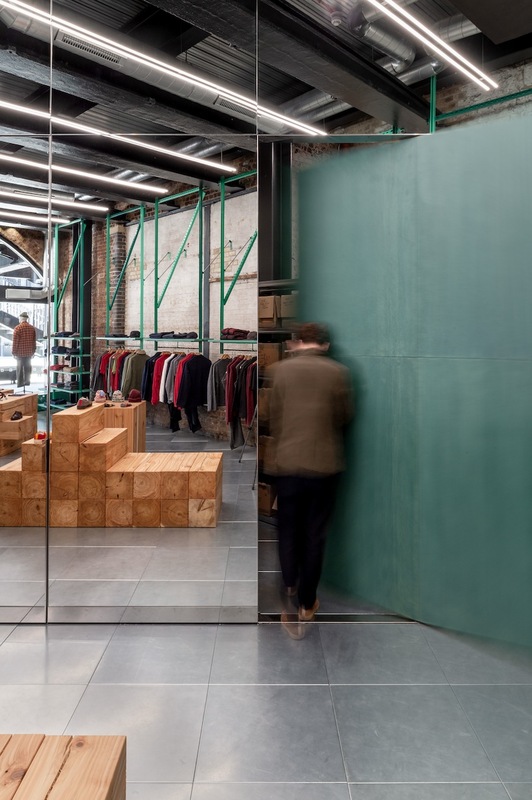 the stand-out feature of the store is a 4 metre tall mirrored wall set at 45 degrees that both separates front and back of house, and adds a creative illusion of volume and depth to the space. 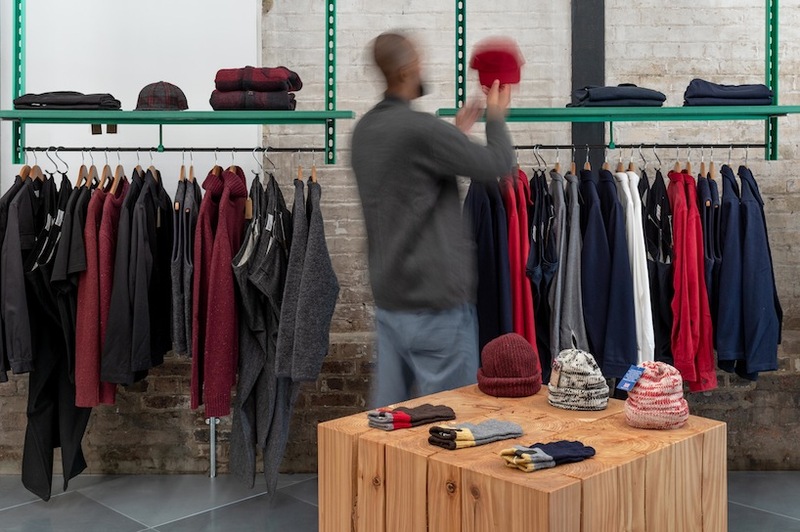 this is animated through three pivot doors, the main one being on a central pivot and able to rotate through 360 degrees, adding a sense of theatre to the banality of back of house storage. 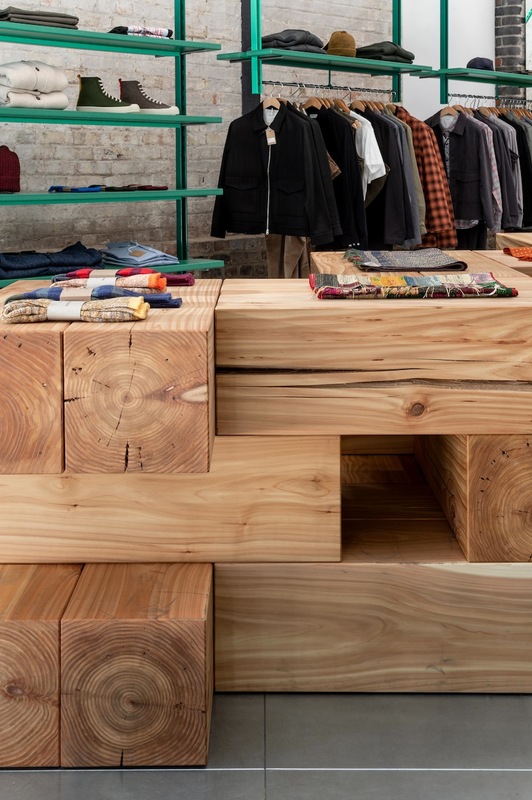 loose items are displayed on large red cedar blocks, fabricated by gareth neal, which come together to create sculptural forms for displaying folded garments and act as monumental moth-repellent blocks. 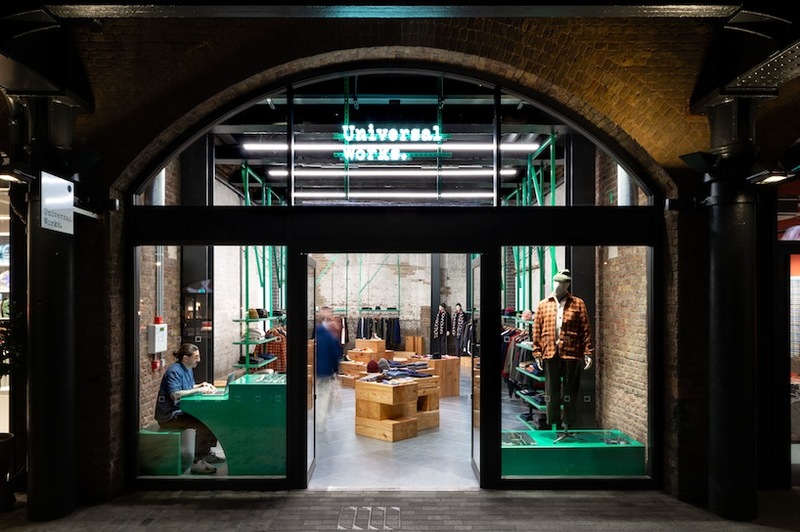 the project by studio mutt, characterized by a series of large sculptural insertions, not only creates a visual identity for universal works but also effectively complements the existing aesthetic of coal drops yard.